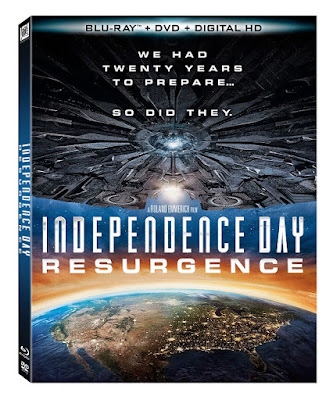 I admit I thought the first movie was just ok and I had seen it at least twice since it came out but I like Independence Day: Resurgence just a bit more than the first one. This movie is well done and has tons of action but I found it felt a little too long and I don't really know why I feel that way because I did enjoy the movie. The acting was good and the storyline was pretty good with great graphics. If you are a fan of the first movie you will most likely like this one as much as the first.